The Pan-American Health Organization (PAHO) has introduced Self-Learning Courses on several aspects of alcohol and drug harm and policy. The virtual courses may be accessed by anyone and are available in English and Spanish. 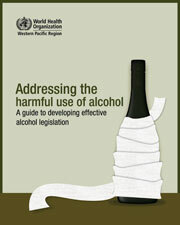 Many governments realize the need for effective legislation to reduce the harm from alcohol use. This is also reccommended by the World Health Organization (WHO) Global strategy to reduce the harmful use of alcohol. But how to do it? WHO Western Pacific Regional Office has offered a guide. The 2011 edition of the Global status report on alcohol and health confirms that alcohol is a major threat to global public health and welfare. Drinking alcohol kills more people than HIV/AIDS, tuberculosis or violence. Two key documents are now available from the freshly redesigned web site of the WHO Management of Substance Abuse. A new and updated edition of the book Alcohol: No Ordinary Commodity is now available from Oxford University Press, written by an international group of alcohol researchers under the leadership of Professor Thomas Babor (picture below). The African Journal of Drug & Alcohol Studies is an international scientific journal published by the African Centre for Research and Information on Substance Abuse (CRISA). The summary of the book by Thomas Babor and a team of researchers, Alcohol: No ordinary Commodity; research and public policy is now available for free on the web site of the journal Addiction. 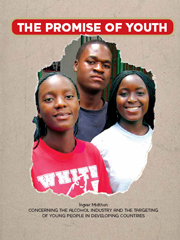 Comments to the various chapters of the book can also be downloaded from the site. The WHO sponsored book by Robin Room and an international group of scholars analyzes the many sides of the problem of alcohol with a focus on Africa, Latin America, Asia, Oceania and indigenous societies within developed countries. The WHO Expert Committee on Problems Related to Alcohol Consumption adresses the disease burden attributable to alcohol consumption and recommends a range of strategies and policy options. This book is the product of a multinational research project on "Gender, Alcohol and Culture: an International Study" (GENACIS), a major collaborative effort to highlight the relationship between gender and alcohol issues. "Alcohol: Health Risk and Development Issue"
Alcohol constitutes a double-sided problem in the developing world: on one hand, drinking is in many places a severe and additional burden to the poor and underprivileged, and on the other hand, we also see that new drinking habits, increasing consumption levels, and rising problems occur among a growing middle class in a number of countries. Brazil, India, Malaysia, Mexico, Nigeria, Papua New Guinea, South Africa and Zimbabwe are the eight developing countries covered in this WHO publication from 1999. "As economic development occurs, alcohol consumption and resulting problems are likely to rise with increasing incomes."